We often highlight how the construction part is the main core of the Minecraft game. It is just too exciting to execute your creativity to construct something that will amaze the other players of the game. In order to construct your structure, collecting high amount of resources is vital. However, there will come a time that you will have to stop constructing and just concentrate on surviving. But what are you going to do with all the excess materials that you collected when you were just building your structure? 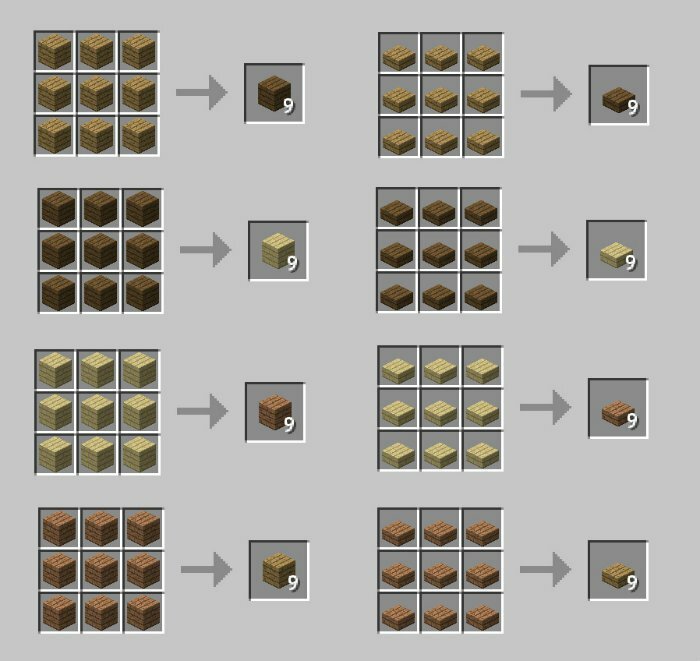 For all the woods that are left unused, the Wood Converter Mod will help you convert them into more useful materials. With the help of the Wood Converter Mod, you will be able to convert your woods into slabs, stairs, planks and other sorts of woods. The mod can help you to do something with any wood you have lying around in storage. Since it is a converter, you will also receive the same amount of materials. For instance, when you are crafting a wooden block, you will normally require 4 wooden planks and a plank will require various sticks. 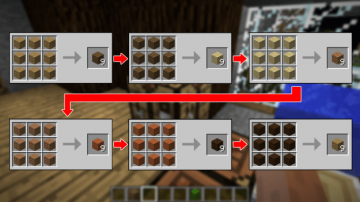 But with the Converter mods, you will be able to convert the same number of woods into planks. You also have the option to use this mod to convert one type of tree into another. Basically, the Wood Converter Mod 1.11.2 will allow the user to receive any type of wood by just crafting it. It works perfectly on the block of wood, sapling or wood types. 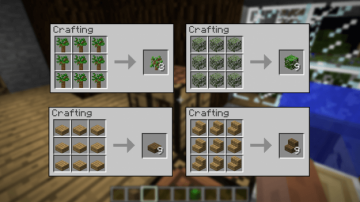 So regardless if it is a sapling or wood block this mod will generally function the same way. You also have the capacity to revert it back to its original form. This means that in the event that you will need some planks, you can revert stairs and chairs back into planks. Those who are playing in a location where the jungles are situated miles away from their location may find this mod beneficial. It can also be useful for the gamer who are in a spawn but doesn’t contain any biomes. The first thing that you need to do is to download and install the latest version of Minecraft Forge. Go the ‘mods’ folder located at the Minecraft game directory. Extract the content of the mods into the folder. On the off chance that the mod’s folder cannot be found or it doesn’t exist, simply create the folder. Close the folder, launch the game and enjoy this latest mod. 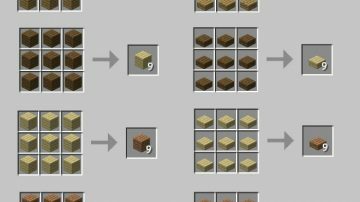 It is important that you will install the original version of Wood Converter Mod 1.11.2/1.10.2 There are some people who are copying this mod and redistributing it.